Where Does the Google Office Design Work? Only at Google and Google-like companies, it turns out. The half-workplace, half-playground approach to office space is now backfiring on the serious companies adopting it, further proving that there is no one-size-fits-all approach to office design, especially when it concerns tiny cubicle houses, grass floors, and wall-to-wall hammocks. It just does not work, since employees feel encouraged to do the same. ‘Creative playpen’-style offices have been prompting companies to renovate to emulate the tech giant Google’s approach to workplace design. Despite us here at The Caretakers being fans of Google’s bright and bold offices, which could pass as anything from a postmodern tourist spot to a tribute museum for a kindergartner’s dream, numerous office designers are contending that a suitable workplace is not one of those things. Professor Jeremy Myerson from UK’s Royal College of Art Helen Hamlyn Centre for Design explains in his interview with Dezeen how Google’s office style is ‘detrimental’ to productivity. ‘Trying to treat the whole world as though every organisation should be like Google is a bit of a bad idea’, he says. Myerson adds that stuffing offices with unnecessary and distracting elements may ‘infantilise’ the staff. Companies looking to copy Google’s style should first consider their company culture –and whether it melds with the idea of combining work with play. 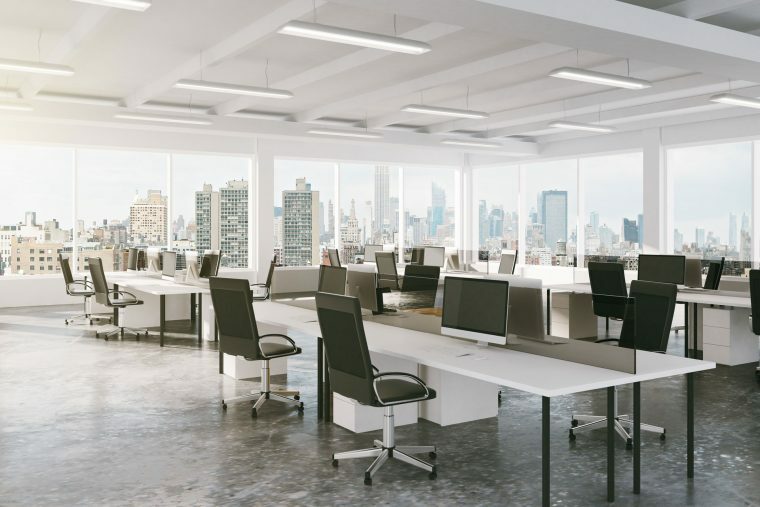 If your company leans toward a more serious nature, stick to commercial fitouts that convey a more professional tone in order to keep employees from distractions, while giving them a sense of place and purpose. Gimmicky office interiors do not always work in favour of the employers. Gabor Nagy, a design ideation manager, cites the risks of adopting a playpen-style office for more critical company cultures. ‘Problem is, if the organisation’s culture is not like Google’s, chances are very high that such design conceptions will backfire: employees hanging out in the game room or playing ping pong while working will not be seen as creative innovators, but more like folks who are sabotaging their daily work’, he explains. Perhaps the Google campus approach to office design will forever remain as water cooler talk for most of Australia’s companies, and we think this is not necessarily a bad thing. Productivity is the ultimate goal of offices, and if having stairs instead of slides, doors instead of gates, cubicles instead of pods, were the way to do it, employees would feel more accomplished at the end of every single day. Let us help you bring the office’s looks to logical speed. Contact us today.